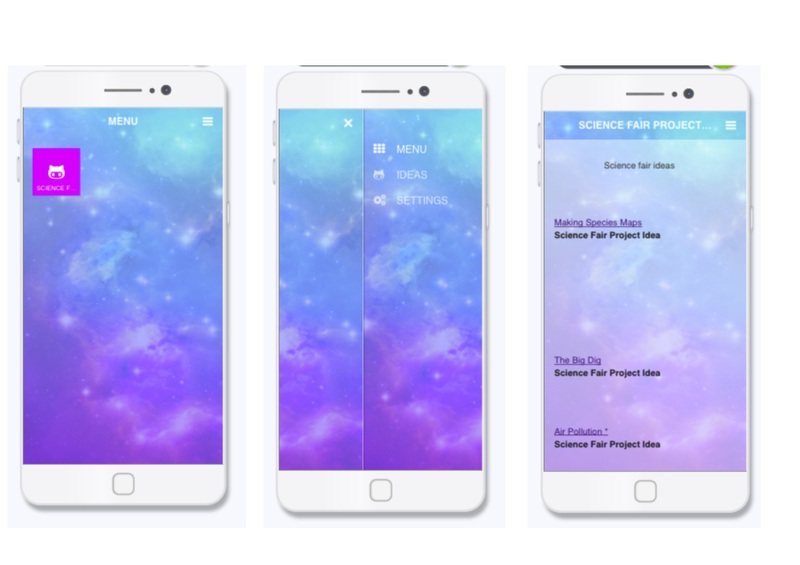 Our product ‘Sciencia’ is an app to help with ideas for Science Fair. We made this app because trying to pick a Science Fair topic is pretty hard. The app has a quiz so that the idea that pops up will appeal to the user and be a fun, exciting project. This app is mainly targeting year 5 to year 9 students who are looking for a fun science experiment. There will be a random idea generator for those that are looking for inspiration of any kind. You can choose from 3 categories : experimental, investigation or invention.